This entry was posted in What About Wednesdays, Wisdom & WordCandy and tagged faith, gratitude by Cate Macabe. Bookmark the permalink. I love your posts. I know I don’t respond much, but I do appreciate them. 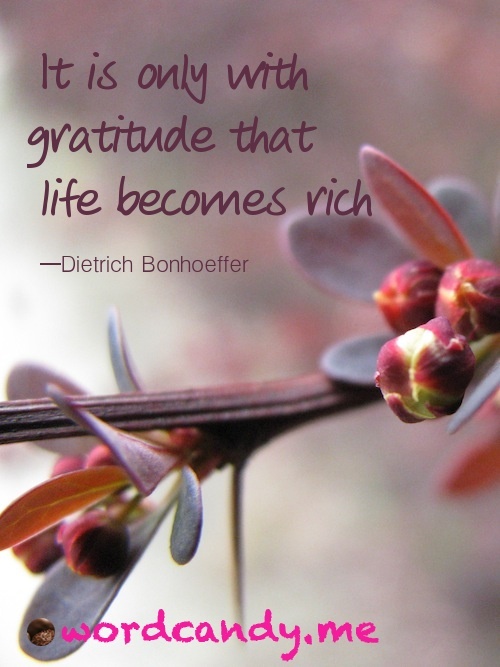 Love this one, as I am a huge fan of Dietrich Bonhoeffer; gave his life for his Christian beliefs and for Jesus!! Thank you, Debi. Some of the best sayings are short and simple but full of truth. I have to admit, I don’t know who Dietrich Bonhoeffer was, but I’ll do some research now!